Yummylicious Sun-Filled Dishes For Capricorn!  Probably the most old-fashioned of all signs, Capricorn likes all the conservative meals. Although salads are not the dish you prefer (Air signs are typically good at cooking them), you can choose something like tuna or macaroni salad. These hearty dishes are good as they are, and will make a perfect summer dinner. Another idea for your summer is deviled eggs – serve them with caviar or curry to turn this food into a real delicacy. Want something more special? Then try crab cakes – top them with fresh dill or red pepper and eat them with aioli butter or mustard sauce. A gorgeous Capricorn-style delight for the eye and the mouth! Which diet will help capricorn to hit their dream weight?